When Running Selenium with TestnG I get FAILED CONFIGURATION: BeforeClass setUp? How can I increment up in Selenium POM? * Re-use the same socket connection for multiple requests (HTTPConnectionPool and HTTPSConnectionPool) (with optional client-side certificate verification). * Built-in redirection and retries (optional). * Supports gzip and deflate decoding. * Small and easy to understand codebase perfect for extending and building upon. Took some risk and removed urllib 1.7.1 (default one that ships within Ubuntu 14.04). It may depend on your requirements if you want to take risk and uninstall it. I just started using django. OS I'm using: Ubuntu 18.04.2 LTS. I created a virtual environment named mydjangoblog and i installed there django. 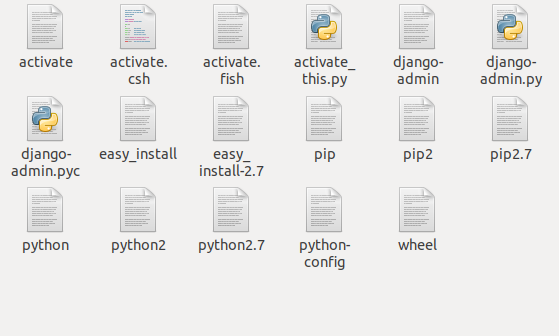 By default it has python2 inside the folder mydjangoblog/bin I prefer that django use python3 rather than python2. HOw can I manage it? I discovered that when I type "python" inside the terminal python2 opens. This is because The python link points to python2 according to the PEP. The script calls multiple functions located in seperate scripts to request, parse, record or download streams. The problem is, when calling the record function, subprocess.Popen locks up my menu until the streams ends. I believe this has to do with the function claiming all stdin? How do I prevent the menu from locking up? I've tried using the subprocess option stdin=open(os.devnull). This won't lock up the menu, but results in a zombie process after the stream is done. Using threading like Thread(target=record.record,args=[json_data,ua_ffmpeg,username,id]).start() neither worked. @BeforeClass I get null null errors I believe it's something with my before class.What about optional do you need them? FAILED CONFIGURATION: @BeforeClass setUp(null, null) I tried to add different maven dependiencies maybe its because of selenium version its still wont work. The issue could be about parameters with browser taking one parameter like chrome when it should be another parameter. Currently i'm trying to do 2 functions, login into a forum and post a reply. The login is 1 function and posting the reply is another, for some reason when it's a function it opens a new tab instead of just opening the url in the current tab. I'm trying to select two quantities of the same item in Selenium POM by doing a for loop to increment up twice on an input tag, but my solution doesn't seem to work. How can I increment twice using POM? Here's the file where I store my test cases. This is where I have a majority of the problem. I'm trying to figure out how to correctly increment my items by two.